Water Bottles, Lanyards & Everything Else! Samples of the signs can be seen in the Campus Store. 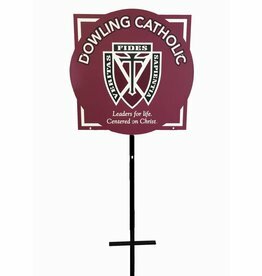 These signs are designed to stand the test of time and should serve your needs for all your student's years at Dowling Catholic and beyond. Spirit Signs make great gifts too! 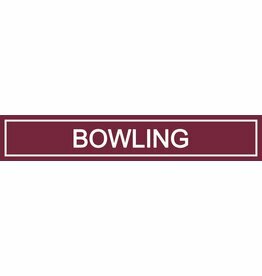 Grandparents, alumni, and other supportive fans would love a Spirit Sign for their yard to show their support for our Maroons! When the signs are delivered to DCHS, you will receive notification from either your parent rep or the Campus Store with information regarding pick up. Average delivery time is 2 weeks from when the BULK order is placed on the 30th of each month. Activity riders are a great way to recognize the DCHS student or alumni in your home! 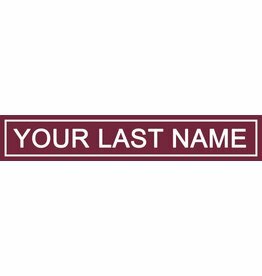 Add a personalized rider to your Spirit Sign! A great way to recognize your student! 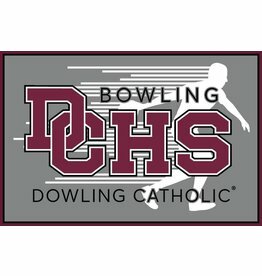 Located inside Dowling Catholic High School, The Campus Store is your ONLY resource for fan gear and apparel.